Home Devious Shows & Past Productions Cannibal! The Musical!! 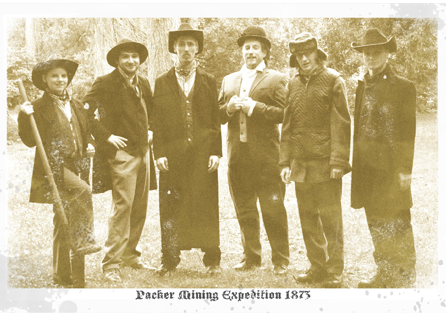 This was the Irish stage premiere of South Park creator Trey Parker’s musical based on the legend of Alferd Packer, the first man in US history to be convicted of cannibalism. From one of the most brutally violent crimes in US history Trey Parker fashioned a comedy musical full of snowmen, barroom brawls, illicit romance, rousing song and dance numbers not to mention lashings of horrific gore. 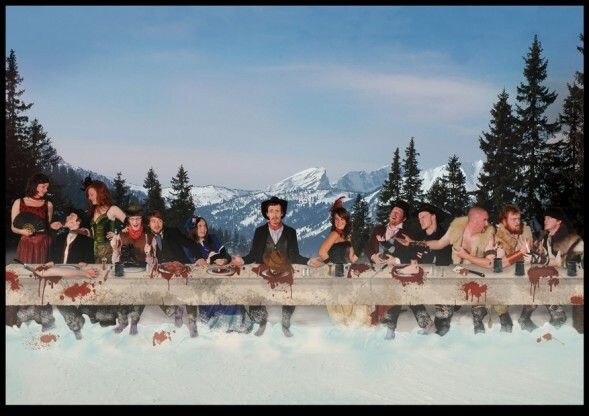 A pastiche of the ridiculous western musical genre as well as an uproarious comedy, Cannibal! achieved cult status and was soon turned into a stage musical that was performed all over the United States. Our production was directed by Ken McGuire and Kevin Mooney with music directed by Kevin Reade. It performed August 22nd – 25th 2007 at the Watergate Theatre, Kilkenny. The action takes place in and amongst the states of Utah and Colorado. The year is 1873.